mad orange fools: The rest of the pack. Hi! I didn't mean to disappear for so long, but things have been pretty busy around here. Now that the weather is getting nicer, I've been trying to spend some time in the yard, getting the garden ready for gardening. Also I've been trying to get out and about more because staying home all the time starts to make me crazy after awhile. I've also been working on some new things for the shop which hopefully turn out well and you all like them! 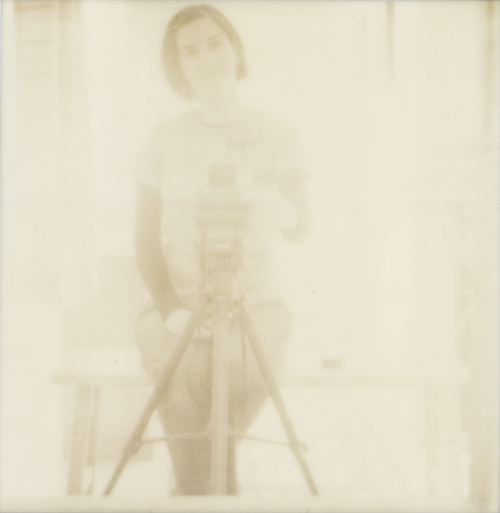 Back to the PX 100 Silver Shade / First Flush film! On a day that was warm enough, I finally tried the film outside. Just in the back yard so nothing too exciting. Both shots turned out well in that the tones were nice and they were not blown out. I just happened to take really bad photos so I was not happy with them at all. At all. Out of frustration, I decided to try manipulating the photos a bit. I didn't do anything crazy, just pressed on them. At first nothing was working, but then the next morning, I found that my letter opener did the trick. While it's still not a brilliant photo, I like it better with it all being kind of smushed up and abstract. The second photo was even more boring than the first. So again, I manipulated a bit. And actually, this is the one I tried first and you can see that I pressed much to hard in some places (where the whites are), but in the end, it worked out okay. To me it looks like the trees are swirling around on a windy day. I decided not to take anymore outdoors shots until I have more exciting subject matter. So I went back in and decided to try a self-portrait. 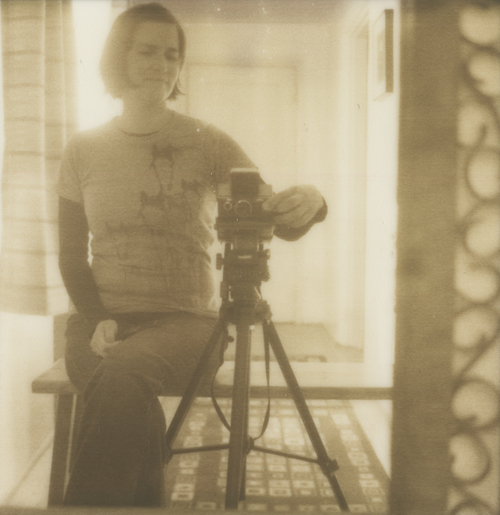 I don't take self-portraits nearly as much as I used to, but I still enjoy it so of course I could not shoot a pack of the new instant film without at least one! I set things up in front of my favorite mirror in our hallway. The film flew out of the camera and landed face down on the floor so I just covered it with the dark slide and left it there. 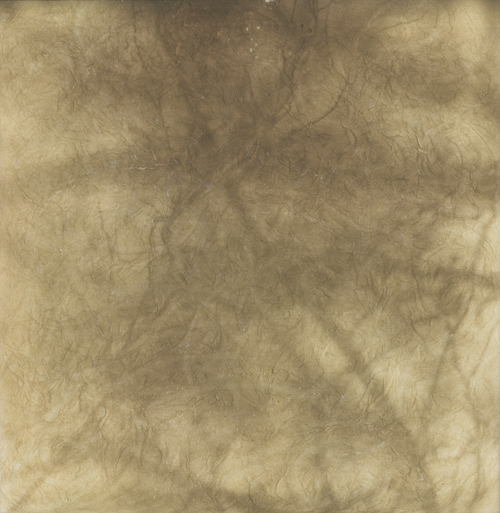 Either light seeped under the dark slide or the floor was too cold which caused the shot to get overexposed. But it still worked out okay. One shot left so I took one more selfie. I went back to the "cover with dark slide and put in my back pocket" method with this shot and it came out with much better tones. I really love this shot. I love the light and the little bit of mirror frame. Perhaps the best shot of the whole pack. I haven't tried anymore yet. I am dying to try the Fade to Black film that I bought, but I don't know what to shoot! 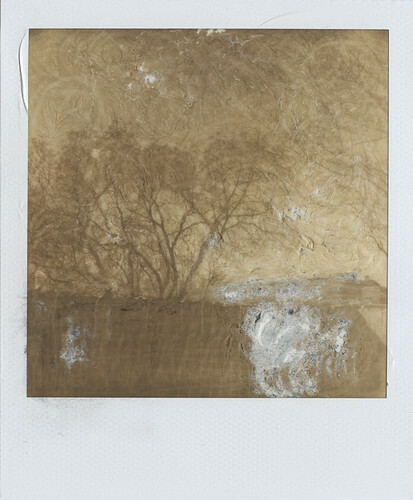 A couple of packs of PX 600 are on their way to me so I'll probably end up trying that next. one of these days i'll get around to trying the new stuff out... it seems so complicated!